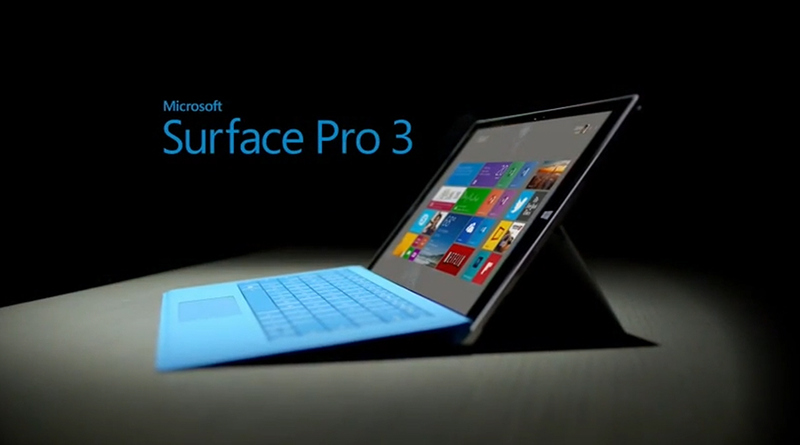 Microsoft is at it again: now, the Redmond, Washington company has launched three brand new advertisements demonstrating how its Surface Pro 3 tablet can rival Apple’s ultra-thin MacBook Air laptop. Featuring the tag line, “The tablet that can replace your laptop,” the ads (via MacRumors) attempt to show how the Surface Pro 3 tablet’s touchscreen, multitasking, and expandable hardware place it one step ahead of Cupertino’s MacBook Air. Of course, this isn’t the first time Microsoft ads have taken aim at Apple products: back in July, a Windows 8.1 ad placed Cortana, Microsoft’s personal assistant software, against Siri; further Siri-bashing ads appeared last year, too. Microsoft’s Surface Pro 3 is indeed priced similar to the MacBook Air: it retails at $799 (for the entry-level model), making it a mere $100 less expensive than the 11-inch MacBook Air. See also: MailDeck email app goes 2.0 with universal support and other improvements, Could this be the front display for Apple’s bigger, 4.7-inch ‘iPhone 6’ handset?, and Popular strategic word game Wordbase updated with new chat feature.